Niclas ‘Pengu’ Mouritzen is probably the most successful and well-known player in Rainbow Six Siege’s pro scene, and he’s just posted a thorough, 5,000-word analysis of everything wrong with the game right now. 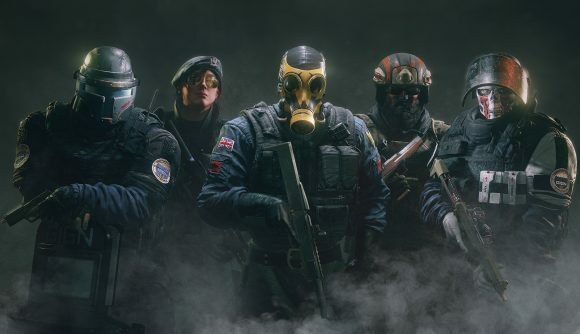 Seasoned Siege players will be familiar with many of the problems Pengu points out, including operator balance issues with Lion, Glaz, Dokkaebi, Ying, and Maverick; inconsistencies when hipfiring with a shield; several bugs, most notably silent dropping; oddities in the matchmaking system; and issues around developer communication, toxicity, and promoting the game leading to a decline in its player base. There are also broader thoughts around operator design philosophy. Pengu has updated his post with feedback from social media since going live, so it’s definitely worth checking out (click here) for an up-to-date roundup of Siege’s current issues. But as well as simply listing problems that many Siege players will already know about, Pengu also – helpfully – suggests solutions. Indeed, barring the occasional lapse into frustration (“ranked matchmaking is piss-poor”), the tone is constructive and level-headed. This is not a rant. Hopefully a player of Pengu’s profile, and importance to the pro scene, will inspire Ubisoft to sit up and take notice. 5500 words – 1 hour, 1 man and his thoughts. Going over topics in siege, possible solutions, statistics, examples & my take on it all. This is mainly for health/quality of life changes, imbalance and notes. As Pengu says in his post, Rainbow Six Siege has lost 10-15% of its player base on Steam in the last 30 days. That’s not unusual given the time of year – Siege is coming to the end of its current season, and a lot of big games are coming out right now. It also doesn’t account for the numbers on UPlay, Ubisoft’s own platform. In fact, given all the problems compounding the game right now, perhaps Ubisoft should be grateful the decline isn’t worse.